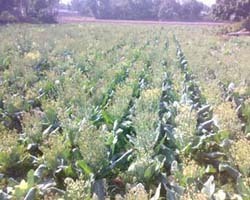 The state of Tripura is producing certified seed of cauliflower through registered growers. 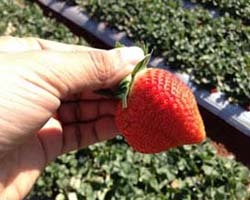 Farmers are given training and technical guidance by the Horticulture Research Complex, Nagicerra. This programme is going successfully for last 5(five) years in the state. The seed produced by the registered growers are certified by the Tripura State Seed Certification Agency and procured by the Directorate of Horticulture of Horticulture & Soil Conservation for distributing among the farmers under different schemes. Amrapali is a popular variety of Hybrid Mango. It was introduced in the state in the nineties of last century. 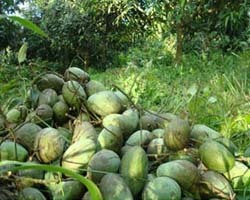 But cultivation gained momentum with production of seedlings of Amrapali Mango in the private nurseries. Huge programme of area expansion is going on under Horticulture Mission for North East & Himalayan States and now plantation programme in FRA areas are also going on under MGNREGS. • Identification of better variety. • Standardization of cultivation practices. • Assistance for poly structure. • Production of TC planting material locally. Initial success in production of straw berry has opened up a new horizon for economic development of farmers of Tripura.